SAW Members: Feel free to post information that you think the community should know. This is the place for blatant self-promotion! I'll be performing at the Stoltz Listening Room this Friday (March 4, 2016). You will get to hear original and traditional folk songs/tunes performed with the Celtic harp, acoustic guitar and voice. Tickets cost $20. To learn more about me go to www.kristinrebecca.com. Hi all! I have a show coming up this Sunday , February 21 at 5pm- it's at Bump 'n Grind, a coffeehouse and vinyl lounge in Silver Spring. I'll be playing an acoustic set, mostly originals, and would love to see you there! 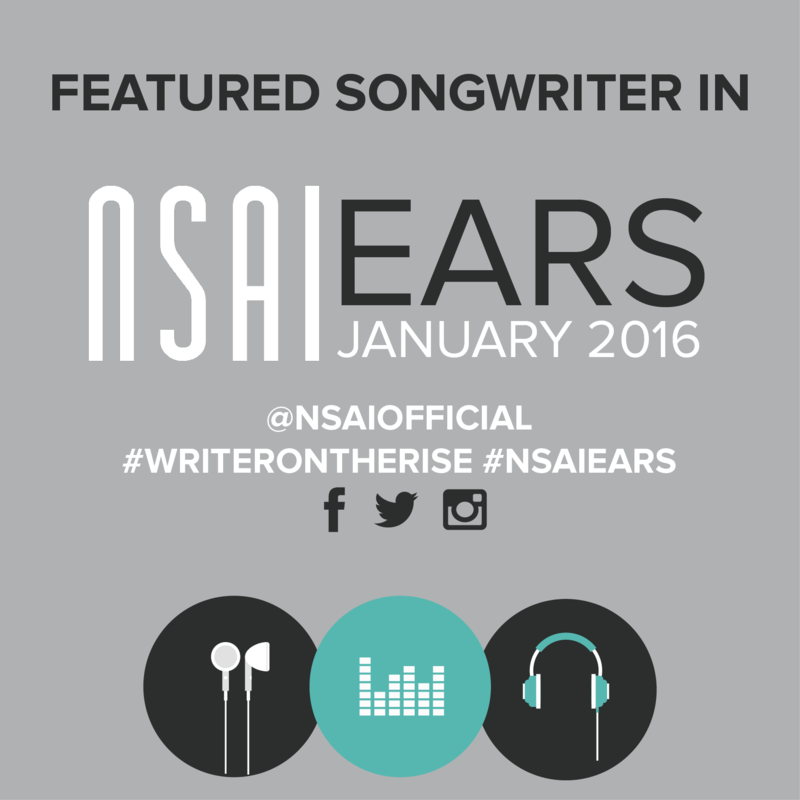 Named by NSAI as "One to Watch" for the song "Faded Beauty." My winning song is, "Jessie Brown"
We released a single "The Christmas Crocodile" and we have a video to go with it. You can check it out here: The Christmas Croc Video. Happy Thanksgiving! Les Hatley was inducted into the Maryland Hall Of Fame on September 20, 2015. The Maryland Entertainment Hall Of Fame honors individuals and groups who have made significant contributions to the history of entertainment in the state of Maryland. Musicians, singers, radio and television personalities, promotional icons and all facets of entertainment. Special weight and consideration is given to those nominees who have had national success and/or Maryland entertainers that have made an indelible mark on the lives of Maryland citizens and media. Nominees must pass rigid scrutiny of their careers to gain entry into the Maryland Entertainers Hall of Fame. Past inductees include Ronnie Dove, Daryl Davis, The Fabulous Hubcaps, Paul Reed Smith, Mama Cass Elliot and many more. Anyone know of a Dobro Player? Any Dobro Players interested in playing originals together? Exciting News! Julie Greene is traveling from Atlanta to join Lea and Larry for another Epic Cheese Night on Saturday August 8th from 8:30 to 11:30 at Epicure Cafe in Fairfax! No cover charge. It's family friendly, and reservations are suggested. We debuted a fiddle/banjo version of "Freebird" with fiddle studen t Holly Rose Weber's help the last time we were there. This time we'll play it with Julie on the piano and Holly as a second fiddler! Plus, it's Johnny or June Carter Cash night and anyone who covers a Cash song during the open mic from 9:30 - 10:30 will get the Big Cheese merch prize package of CD's, t-shirt, hat, and koozies. Maybe Julie will bring her pet, June Carter Cat. The food's great there; we hope you can join us! Another reason Julie is coming north is that we're going into the studio to record our new song, "Christmas Crocodile". We've assembled a children's choir for the event and will be joined by co-writer Jack Morrison, Larry's 4 year-old ukulele student. We intend to make a novelty record (think Ray Stevens and "Grandma Got Run Over By a Reindeer").